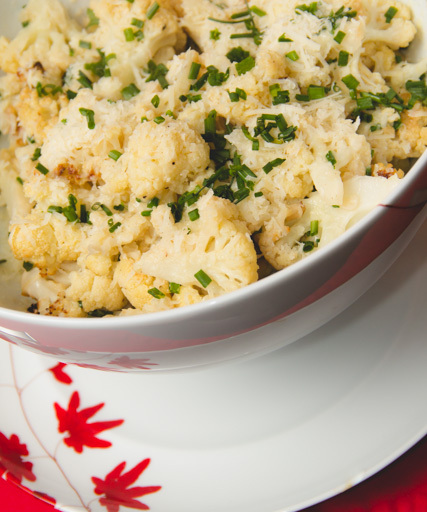 Toss the cauliflower with olive oil, garlic, lemon juice, salt and pepper in a baking dish. Place the baking dish in the oven and roast for approximately 25 minutes, stirring once halfway through. Remove the roasted cauliflower from the oven and toss with the grated Parmesan cheese and chopped chives or parsley.